STEAM combines Science, Technology, Engineering, Art and Mathematics into unique learning experiences. 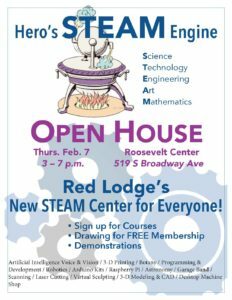 Ken Whister is hosting an open house at the Roosevelt Center and will be demonstrating the endless applications of STEAM. Come and explore the lab, learn about upcoming courses and lab memberships! !